A perfect Solution that helps to recover corrupted or damaged word document. MS Word Repair Software provides three recovery modes i.e., Quick, Image and salvage recovery. The Word recovery software is capable enough to scan and preview recovered data from a corrupt word file. Moreover, it allows to repair word file without installing Microsoft Office application. Word file repair tool benefits users with an easy and effective approach to deal with damaged or corrupted Microsoft Word Document. Tool offers quick recovery options to resolve all kind of errors within MS Word file. The Word Recovery tool is designed to recover text or images from any Word file. Users can retrieve severely corrupted Word document regardless of the scale of its corruption. Yet, users can repair different types of MS Word file and support all version of MS Office. Moreover, compatible with Win 10 and below version. In order to regain a corrupt Word file, Word Recovery software can follow three simple steps. Firstly, scan and analysis of the whole document is done and then, the preview of text messages or images being recovered that are generated. 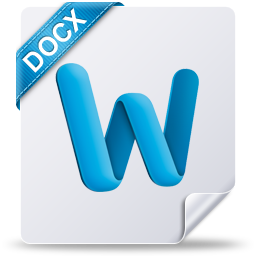 After recovery, users can view the Word file document without any modifications. The Microsoft Word repair tool offers a simple and reliable steps for repairing corrupt Word files. Just follow step-by-step process to repair a Word document from the most severe corruption. The software has several tabs so that users can automatically shift to the next tab after completion of each step to fix issues. Quick Recovery: This mode helps to repair minor corruption issues. Image Recovery: To recover corrupt images(gifs, png, jpg, etc.). Salvage Recovery: To recover severely damaged Word file. The reliable software to repair word file has simple and intuitive easy to use GUI that can easily be used by user without needing any assistance. After complete recovery of a Word document, this application can permit the user to save all healthy files. The Word document may contain different styles or formatting such as hyperlinks, italic or bold text, and so on. Once a corrupt Word file is repaired, all formatting and enclosed picture, clipart, graphic, chart etc. ; are retained at the same time as. Trial Version of Word Repair Software only previews the recovered data. Get Download Demo of Word Repair Tool Immediately for Free!!!! How to restore corrupted Document with this Word repair software? 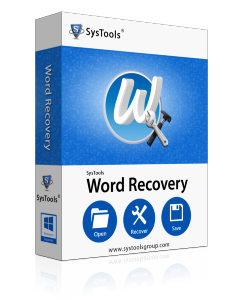 Install & Run Word file recovery software. Click on Browse to add corrupted Excel spreadsheet. Choose one of the Recovery Modes as per requirement. Preview the retrieved data before saving. Finally, click on Save button to complete. Do I need to install Microsoft Office on my PC to recover Word document using Word repair software? No, MS Office environment is needed for successful recovery of Word file using Word recovery tool. Can I repair corrupt or damaged Doc file using Word recovery tool? No, this software allows to repair a severely corrupted Word document file without any data loss. Is it possible to retrieve all the pictures from a Word document file? Yes,Of Course, with Word recovery tool, users can easily recover each data from a Word file including images as well. Make sure select image recovery mode for the same. Is this software compatible with Windows 8.1 Operating system? Yes, the Word repair tool is operable on Windows 8 platform Even it can support all latest or previous versions of Windows OS. Using Word file recovery tool, can I restore a document file at once? Yes, users can restore single document file at a time with the help of Word recovery tool. Although, users can regain unlimited Word files one by one. Does the Word recovery tool maintain file formatting while repairing corrupt Word file? Yes, this software provides an option to retain file formatting after data recovery.